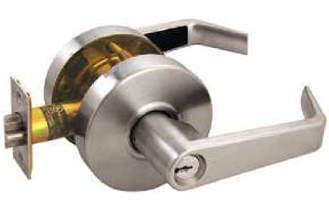 Protect your home or business with professionally installed locks from A-OK Locksmiths, based in Toronto, Ontario. We provide lock installations, locks repairs, and rekeying for residential and commercial properties throughout the area. There are many benefits to having high-security locks. They cannot be picked, bumped open, or duplicated. Not only that, but they protect your family, home, and valuables, and are very difficult to drill or break into. We can install new, high-security locks for your home to provide you with the ultimate in protection. Brands we install include Medeco™, Scorpion™, and Schlage™. All of our locks are 100% brand new and guaranteed to provide you with lasting service. Each lock comes with a different warranty, ranging from six months to three years. Contact us for more information about our on-site key cutting.